We do not recommend completing this assessment on a smartphone or tablet. Your Access Code is valid for a single attempt at determining your RUC® Score. There are a total of 9 questions to this assessment. Once you start, you will not be able to pause and resume your assessment at a later date. Therefore, please do not enter your Access Code until you are ready and able to answer all questions in one sitting. The RUC® score for the UMKC BA/MD Program is designed to assist prospective applicants. By receiving your RUC® Score, you acknowledge and accept that any information received from this website is designed for comparative purposes only, and accuracy is not guaranteed. Advisor Prep Education Services, LLC does not guarantee the accuracy of any information provided, and is not responsible for any errors, omissions, or misrepresentations. 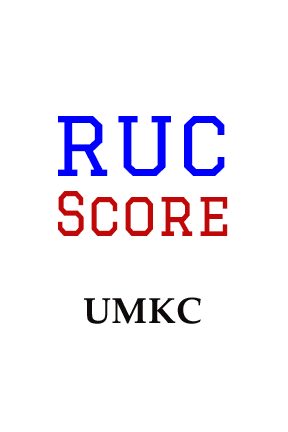 The RUC® Score is not associated, nor endorsed by UMKC or its affiliates. By continuing, you are doing so at your own risk and assume full liability. *This question is required. I agree and wish to continue.